4Shared App is a cloud-based storage drive for the digital content. In this article, we are going to discuss 4Shared App Download for your device. You need to just sign up for an account to use this application. It is a storage service with a focus on sharing and also makes the file available for public search. The free version of an application is limited to 15 GB of space. 4Shared offers great tools for sharing files with your friends, family, and colleagues. 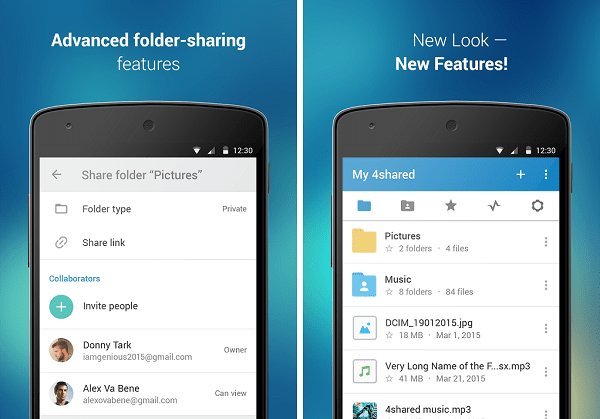 It lets you create a folder system and after that, you can upload the files you want to share. Anyone can Download files from 4Shared if they are public. It enables you to set the permissions for each folder so that the content will remain private. By signing into your account, you can get your own content on different devices. 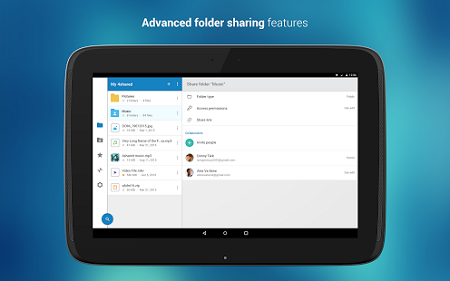 4Shared App is a useful and popular application that enables to manage and access files. It lets you store your files in the personal cloud storage of the application. Here, we are going to discuss steps to download the app. First, go to the Play Store and type the name of the application in the search box. You can directly download the 4Shared APK File from here also or proceed with the given procedure. Then, click on the search option. The search result will appear on the screen with same name and icon. Further, click on the install option. Now, downloading process will start. Wait for few minutes till the downloading process is over. Once the application is downloaded, open the application. Lastly, sign up for a new account to store your files in the cloud storage of the app. When you directly download the APK file from the above link then, you need to enable the unknown sources from the security option in device settings to install the application. Once installed, it is easy to use 4Shared. 4Shared is a very useful application to manage and save your files. It includes several other exciting features which we are going to discuss here. Following are the lists of features of the app. It enables to share your files and folders to other persons from the account. The app provides free storage space up to 15 GB. It helps you to backup your files and you can access it from anywhere. The application has a partnership with McAfee Antivirus that will help you to keep your data protected. It has in-built music streaming features through which you can listen to music via online streaming. You can customize your 4Shared account from your PC also. Different cloud storage account can be linked to your account. There is a toolbar available for the application so that you can access it directly from your web browser. The interface of the application is simple and easy to use. It is free to download and easily available in the official stores. We have discussed all the important features of the 4Shared App Download. We hope the above information will be helpful to you. 4Shared is perfectly safe to use. Further, for more details pertaining to this application visit our website APKPie.